Tarek Atrissi was invited to participate as a designer in the international design project “Flags of Peace”, an outdoor design exhibition organized and curated by “Trapped in Suburbia” in the Netherlands. The project revolved around the idea that there is no official global peace flag; and therefore a leading designer from every country in the world would be invited to design his own version and interpretation of a flag of peace. The list of invited participating designers includes legendary international names, such as Milton Glaser (USA), Wim Crouwel (Netherlands); Helmi el Touni (Egypt), Ken Garland (UK) and many others. 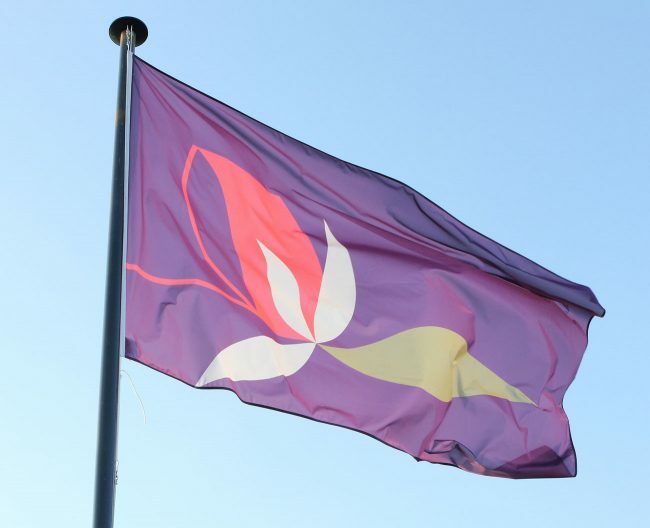 Atrissi’s flag design submission for the “flags of peace” project is shown above, waving in the city of The Hague in the Netherlands on world peace day 2015. The proposed flag design is based on the word “peace” written in a graphic abstract Arabic lettering style (سلام). Today, due to all the negativity of wars coming from the Arab world, any flag with Arabic writing on it evokes a sense of danger & terrorism. 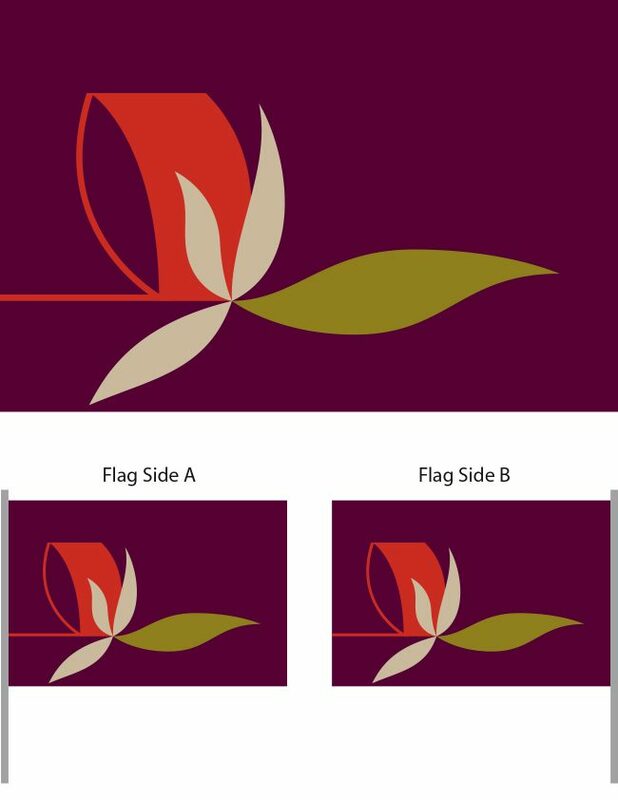 The idea of this design was to make a flag fully based on Arabic typography yet remaining peaceful and graceful, accentuating the beauty of the Arabic culture and inspired by its shape from the bird of paradise flower. 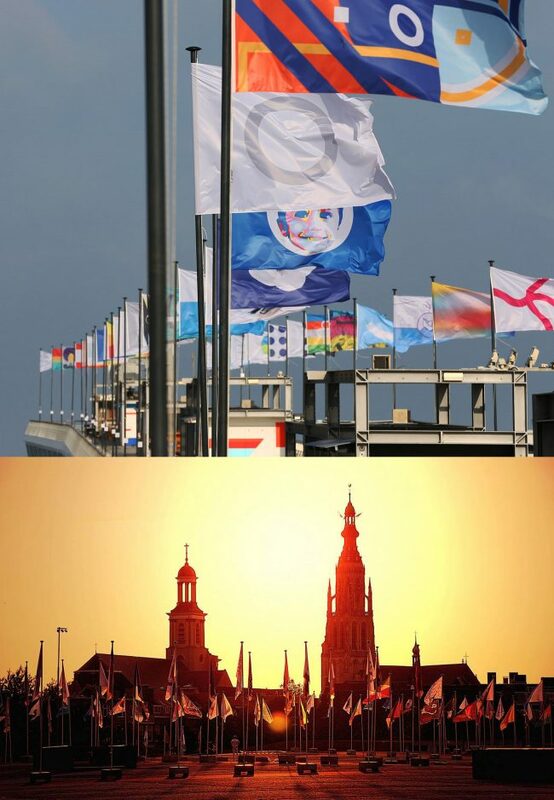 The Flags of Peace exhibition moved after its opening in Den Haag to be on display in different outdoor venues across the world, most recently at the “Graphic Matters” design festival in Breda. It is an inspiring exhibition gathering the graphic design vision of various internationally acknowledged designers to a similar design challenge.